In case you ever find yourself in charge of the stereo at a house party hosted by chimpanzees, take note. A new study into the mysterious world of chimpanzees' musical preferences has revealed just what types of tunes our primate cousins prefer most: African and Indian music. That's right, not only do chimps have human-like fads, as was discovered for the first time recently, they have an interest in music as well. 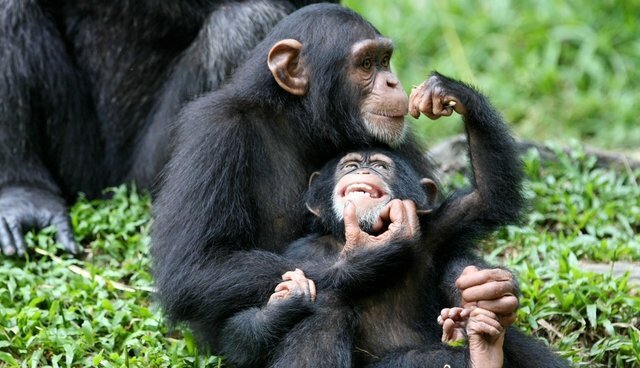 Despite the fact that past research into chimp auditory tastes had concluded that they rather hear the sound of silence to pop, blues, and classical stylings, it turns out that they actually do enjoy listening to music after all -- just not the primarily Western music they'd been exposed to. "Although Western music, such as pop, blues and classical, sound different to the casual listener, they all follow the same musical and acoustic patterns. Therefore, by testing only different Western music, previous research has essentially replicated itself." When the team from Emory University instead introduced 16 chimpanzees to African and Indian music, giving them the option to move into a silent part of their enclosure, the animals actually spent most of their time listening to it -- a significant departure from their tendency to withdraw away from other types of music tested. The research team believes that the distinct combination of both strong and soft beats found in African and Indian music was more pleasing than the strong beats found in most Western music, which might actually come off as frightening to them. "Chimpanzees may perceive the strong, predictable rhythmic patterns as threatening, as chimpanzee dominance displays commonly incorporate repeated rhythmic sounds such as stomping, clapping and banging objects," Frans de Waal, researcher, says. The origins of humans' development musical preferences may never be fully understood, but based on this research among nonhuman primates, we're not alone in our enjoyment of having something to listen to -- just as long as it's not reminiscent of something scary. 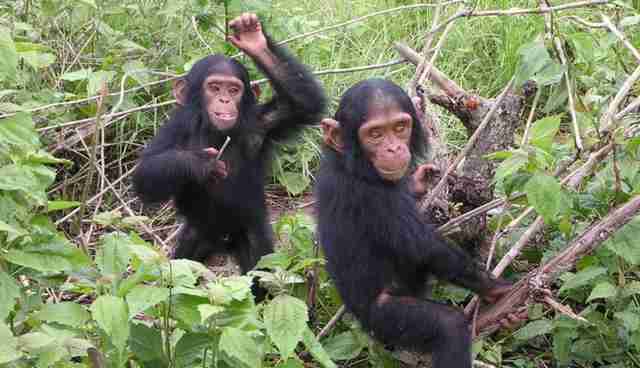 "Chimpanzees displaying a preference for music over silence is compelling evidence that our shared evolutionary histories may include favoring sounds outside of both humans' and chimpanzees' immediate survival cues," says co-author Morgan Mingle. "Our study highlights the importance of sampling across the gamut of human music to potentially identify features that could have a shared evolutionary root."